It’s easy to take for granted the simple fact that water comes out of the tap when we turn it on, and that it disappears down the drain or toilet when we are finished with it. However, as simple as it may seem to us, what happens before the tap flows and after water is used, is a very complex part of the system. One might also considered it flawed in certain ways leaving tremendous room for improvement in efficiency and overall function of our current water system. 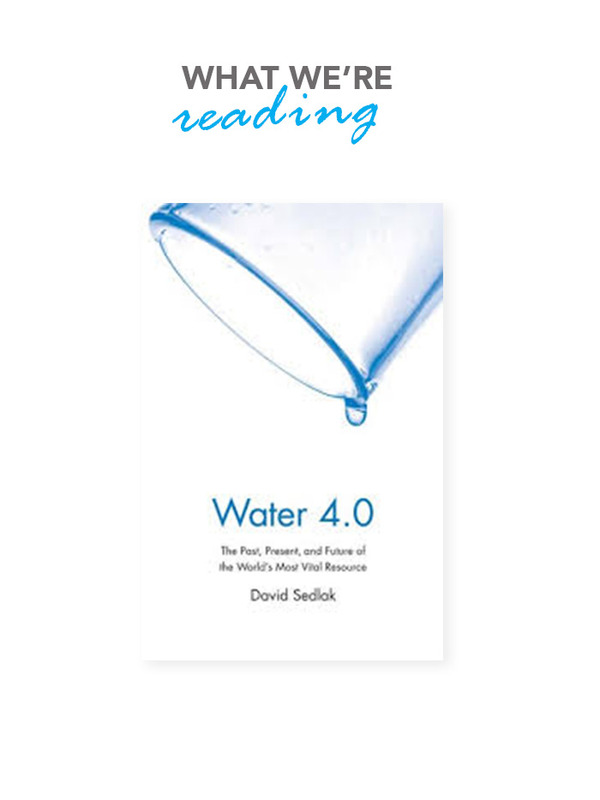 David Sedlak tackles this subject in Water 4.0: The Past, Present and Future of the World’s Most Vital Resource. Not only does the author translate the technical workings of urban water systems into accessible language to the reader, but also does so within an engaging narrative incorporating technology and product innovation into the historical context. In addition, Sedlak manages to open a door into the future. Where coherent descriptions of what’s to come for the urban water system.